Wilderness in Norway has become more of a leisure pursuit, an idea that Norwegians embrace, escape to and explore with great fervour. 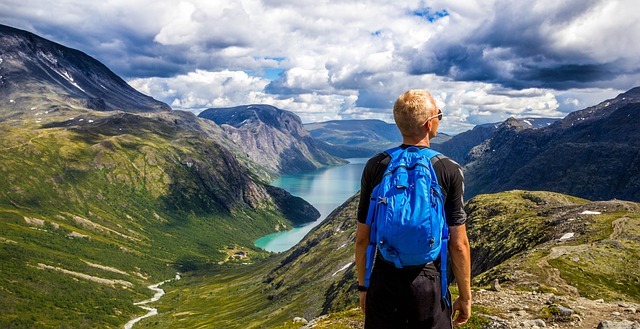 Nowhere is this more evident than in the country’s national parks – shining symbols of the nation’s desire to protect the environment as much as they are showpieces of Norway’s peerless landscapes and otherworldly natural grace. At the same time, Norwegians worry about their impact upon the environment, over the consequences of global warming for the country’s glaciers and Arctic ecosystems, and about Norway’s contributions to this decline and the decline of wilderness the world over due to their massive oil reserves and exports. And then there are the trials of living in one of the richest countries on earth. Norwegians are burdened with a highly developed social conscience that manifests in far-reaching promises to reduce greenhouse gases, in using its astonishing oil wealth to promote ethical investment abroad and in committing itself to a foreign-aid budget that puts most countries to shame. Where things get complicated is at home, leading to anguished national debates over rising immigration, over the incremental loss of Norway’s cultural heritage and over the effects of being cosseted by what is arguably the world’s most generous and enlightened welfare system. The country is also divided over whether Norway can continue to go it alone by staying outside the EU, or whether it really should play its part in building a more prosperous and united Europe. It’s not that you’ll find many Norwegians complaining about their lot. Nonetheless, you will encounter, again and again, a people wondering about their place in the world. Nidaros Cathedral is the largest medieval building in Scandinavia and is regarded as Norway’s national shrine. Construction commenced in 1070, but the oldest remains date from the 12th century. Parts of the cathedral are adorned with rows of ornate biblical, religious and royal stone statues as well as magnificent stained glass windows. If you visit during the summer months you will get to see the Norwegian Crown Jewels on display. Tromsø is regarded as the ‘Gateway to the Artic’, a lively and cheery town with street music, cultural activities, lots of bars and restaurants and the country’s best brewery. The scenery is wonderful with snow-capped mountains interspersed with fjords and beautiful period buildings. Make sure to visit The Northern Lights Planetarium – Norway’s first virtual planetarium boasting lots of visual and special effects. The Lofoten Islands are a cluster of mountainous islands situated 60 miles above the Arctic Circle on the northern Norwegian coastline. They are beautiful islands and have been inhabited for more than 6,000 years. The islands are also home to the world’s oldest mountain, an extinct volcano situated on the island of Bo. Stay in one of the traditional fisherman’s huts, which can be rented easily. Because of the Gulf Stream, the islands never get too cold. There is also an incredible variety of marine, animal and plant life here as well as stunning scenery and plenty of activities. In the western and northern islands the midnight sun is visible from 27 May till 17 July – something not to be missed. Ajostedal Glacier National Park is a stunningly beautiful national park situated between a fjord and a glacier known as Jostedalsbreen. At over 432 sq kilometers, Jostedalsbreen is the largest glacier in Europe although there are many smaller separate glaciers throughout the park. Reaching 1,000 meters in height, the frozen waterfalls are an impressive site as are the glacier movements of up to 1.5 meters per day. Take an exciting guided tour of the Glacier; walk, hike and ski in the national park or simply visit the Jostedal Glacier Centre and Museum. Nordkapp, a peninsula often referred to as the most northerly point of Europe, is actually not part of mainland Norway but part of an Island called Magerøya. Nordkapp is home to 90 percent of the 25,000 Norwegian samer (also known as Saami or Lapps). The main town is Honningsvåg which has about 3000 inhabitants and is a lively and culturally active town. The world-famous cliff formation located at the northern point of Magerøya is known as the “North Cape” and is a popular tourist attraction in summer. From an underground exhibit center, you can view the midnight sun from inside the cliff or walk along the cliffs which plunge more than 1,000 feet into the Arctic Ocean. Probably the tidiest and most user-friendly of all of Norway’s cities, Stavanger is an interesting mix of old and new, with its historic harbour being home to some modern and eclectic architecture and its many museums offering an insight into history both local and national. Immerse yourself in the history of Stavanger by taking a casual stroll around the old town whose cobblestone walkways wind around row upon row of early 18th-century whitewashed wooden houses, probably the best preserved timber buildings to be found anywhere in Northern Europe. Here you will find an impressive array of artists’ studios and craft and antique shops. In Norway, sales tax/VAT is included in the retail price. By making use of the Tax-Free Shopping service, visitors can receive Cash Refund upon departure. Thousands of stores across the country offer visitors the opportunity to shop and receive an 12-19 % VAT refund when leaving the country. By utilizing the Tax-Free Shopping service offered by these stores, visitors may receive their Tax Refund in a simple and customer-friendly manner. Knitted sweaters, watches, jewellery and local food are things you should consider buying when you travel in Norway. 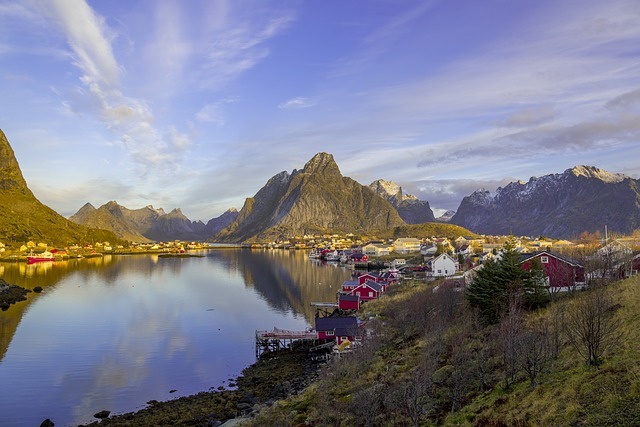 Although Norway covers the same latitude range as Alaska (and much further north when you include Svalbard), most of the country enjoys a surprisingly temperate climate. For this you can thank the Gulf Stream, which flows north along the coast. Average maximum temperatures for July hover around 16°C in the south (although they can be double that) and around 13°C in the north. In January, the average maximum temperature is 1°C and -3°C respectively. Bergen, on the southwest coast, is the wettest city, with 2250mm of annual precipitation, while Rondane and Gudbrandsdal, protected by coastal mountain ranges from the moisture-laden prevailing southwesterly winds, are among the driest districts of Norway, with less than 500mm of precipitation annually. Alta in the country’s far north receives less rain than the Sahara! Norway is expensive. If you stay in camp sites, prepare your own meals and buy discounted transport tickets, you could squeeze by on around Nkr300 per person per day. Staying in hostels that include breakfast (or eating breakfast at a bakery), having lunch at an inexpensive restaurant and picking up supermarket items for dinner, you can possibly manage on Nkr400 per day, but Nkr500 is more realistic. Staying at hotels that include buffet breakfasts, and eating light lunches and an evening meal at a moderately priced restaurant, you can expect to spend at least Nkr750 per person per day if you’re doubling up and Nkr900 if you’re travelling alone. Once you factor in transport, sights and alcohol (nightclub cover charges start from Nkr70), you’ll struggle to keep below Nkr1000; if you rent a car, Nkr1500 is a more likely minimum. The Norwegian krone is most often represented either as Nkr (preceding the number, as in this book), NOK (preceding the number) or simply kr (following the amount). One Norwegian krone (Nkr1) equals 100 øre. Coins come in 50 øre and Nkr1, Nkr5, Nkr10 and Nkr20 denominations, and notes are worth Nkr50, Nkr100, Nkr200, Nkr500 and Nkr1000. Citizens of Denmark, Finland, Iceland and Sweden may enter Norway freely without a passport. Citizens of EU and other European Economic Area (EEA; essentially EU countries, plus Switzerland, Liechtenstein, Greenland and the Faroe Islands) countries, the USA, Canada, the UK, Ireland, Australia, New Zealand most Latin American and Commonwealth countries need a valid passport to visit Norway, but do not need a visa for stays of less than three months. Norway belongs to the Schengen group of countries (named after the treaty that allows free movement within EU countries), so there are only limited border controls at Norwegian frontiers.